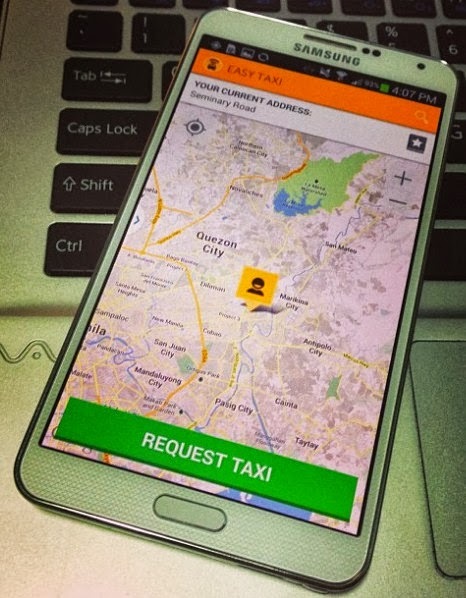 Download Easy Taxi App for Android and iOS for Free : Techie Taxi Hailing Service Now Available in the Philippines! With the traffic situation in Metro Manila and the fact that gasoline prices and parking fees seem to always be increasing, I sometimes prefer hailing a cab than driving my SUV. Often though, getting a taxi in the Philippines (regardless of which city you are in) is not as easy as one would hope it to be. A lot of times, it requires a great deal of patience, of falling in line with other stressed commuters or standing alone in a desolate intersection somewhere, of one-sided negotiations, and of pushing and shoving your way to a cab's door. For days when I don't feel like subjecting myself to all that horror and hassle, I use this application, which you can also get for free on Google Play Store for Android and the Apple App Store for iOS devices. Just type "Easy Taxi" in the search box and the app will be the first result. 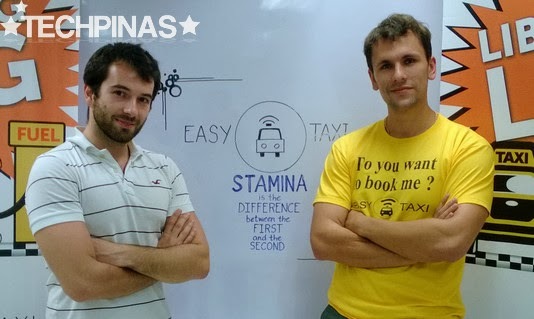 Easy Taxi is an application - currently popular in Brazil, Colombia, and South Korea, among other countries - by Rocket Internet that allows smartphone users to hail a cab with one click of a button. It's really very easy to use. First, as soon as you launch it, the app will locate your current location and address automatically. Second, you just need to tap "request taxi" button and fill the reference field. And finally, your taxi will be on its way and what's cool is that you can even track and call your driver. Although it often takes around 15 to 30 minutes before the taxi reaches your location to pick you up and using app adds Php 70 to the Php 40 flagdown rate (that's Php 110 total), there are three things that I like about the whole Easy Taxi experience. First, the application is very easy to use; I really can't imagine anyone having a problem using it -- unless you have weak WiFi or mobile data connection. Second, it really cuts all the hassles of hailing a cab in Manila. And third, you feel more safe and secure riding a cab that you got using the application because you know that the driver is sanctioned by Easy Taxi. I invite you to download and try out the application. I know the additional Php 70 service fee is a bit steep (and I hope Easy Taxi would consider lowering it just to entice more users) but considering all the benefits that I mentioned plus the peace of mind that it gives you, I really think you will fall in love with Easy Taxi like I did.